Do you love arrows as much as I do? 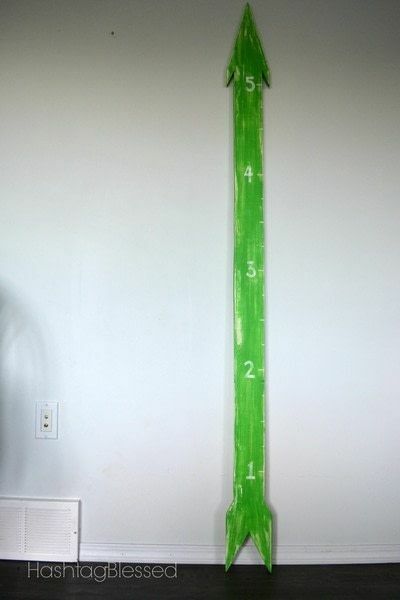 When I kept seeing over sized ruler growth charts all over everywhere, I knew I wanted to something similar. 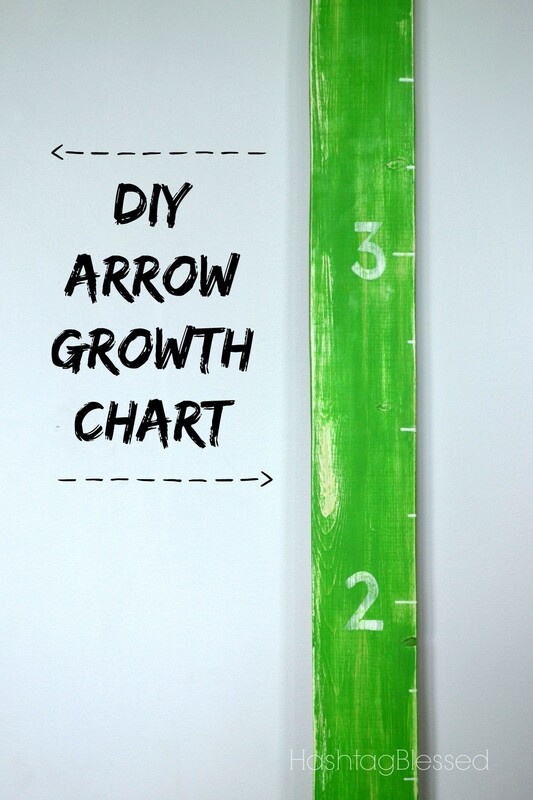 Why not combine my love for arrows in decor with a growth chart for the kids? 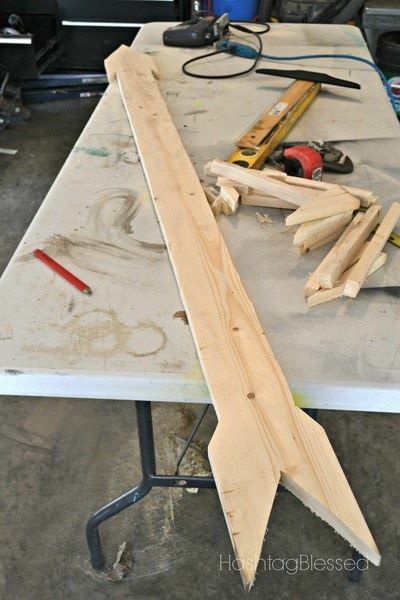 Gather your supplies together and decide how you want your arrow to look. I played around with a few variations, as you can see, until I saw one that I liked. 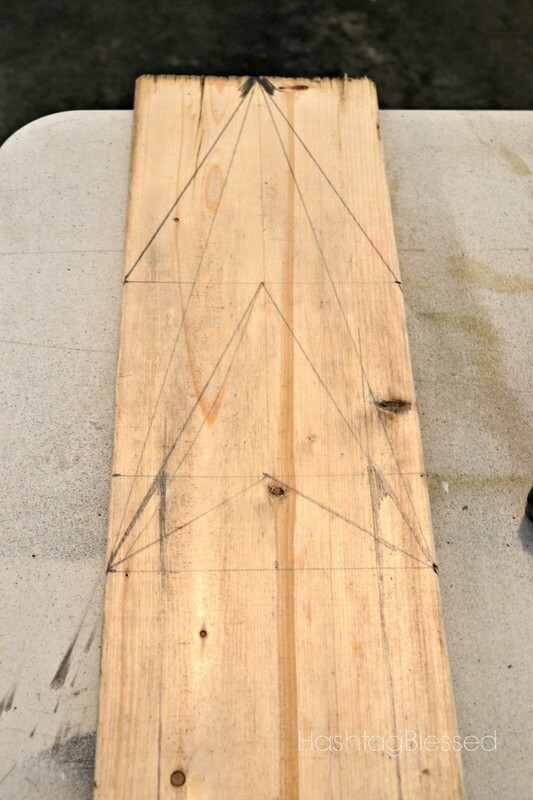 I marked off 1' at the top and 1' at the bottom of the board, knowing that I wanted the top and bottom to be equally sized. 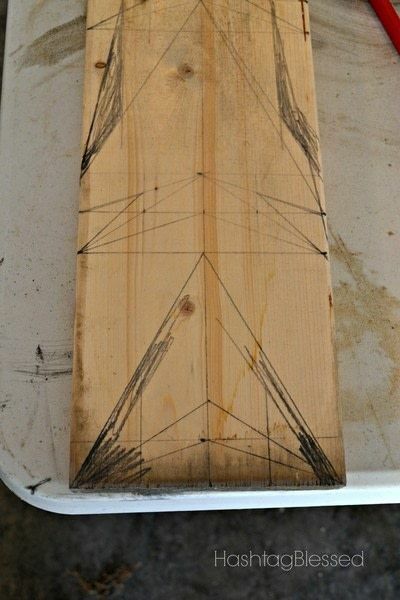 Using a pencil I marked the outline of where I wanted to cut. Here's the tricky and slightly time consuming part. Using the jigsaw I cut out using my arrow by following the pencil outline. Once you have your shape cut out use your sander to sand down all of the edges so they are smooth. 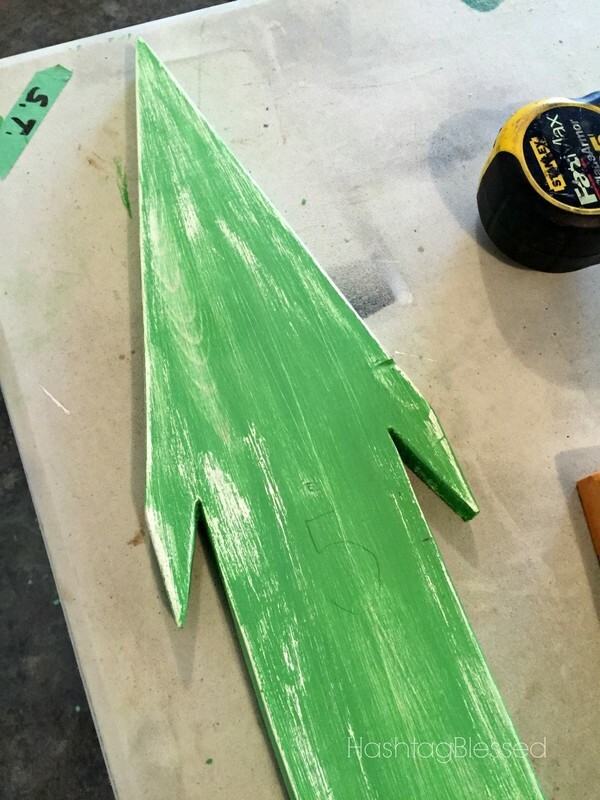 If you want it to be 1 solid color go ahead and paint! 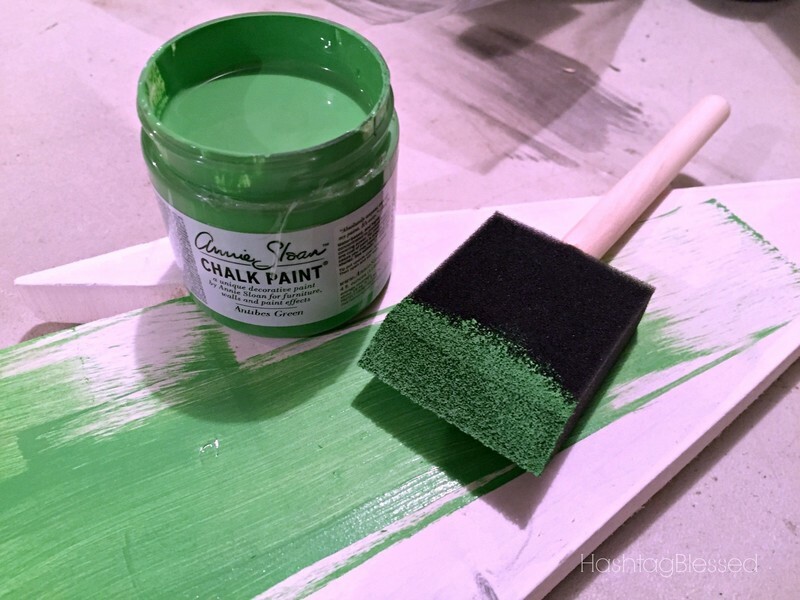 I chose to give mine a distressed look, so I painted 1 coat of white chalk paint and 2 coats of Antibes green chalk paint. Using the sanding block I sanded down the edges and various spots on the board so that some white and some of the board showed through. 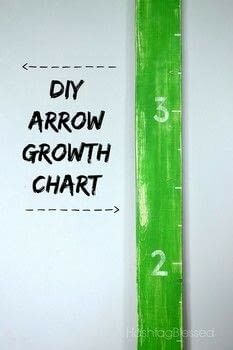 Mark out your notches using a yardstick or tape measure. i marked mine out at 3", 6" & 12". 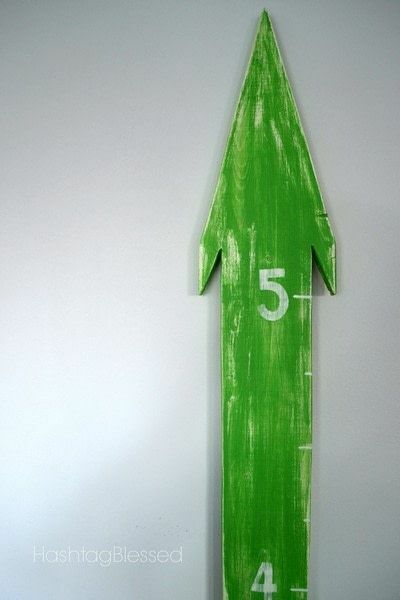 Using a chalk paint pen I marked the board where my notches were and painted on the numbers 1 through 5 at each 12" mark. To finish it off, I sealed it with Annie Sloan clear wax once it was all dried.